According to the crack research staff here at This Was Television, the 1990s is a decade that occurred in the recent past. In America, it comprised roughly the years 1990–1999 (our UK office reports similar findings). For many of us on staff, it is also the decade that most closely coincided with our childhoods, and as has been scientifically proven time and again, pop culture’s true Golden Age is whenever you were a kid. That “Golden Age” label has been widely applied to the Nickelodeon of the 1990s—most recently in oral history form. Even setting sugary-cereal-colored glasses aside, this was the time that the channel ramped up its original programming and established one of cable’s more enduring brand identities. At a time when cable TV, rather than the Internet, was guiding the proliferation of niche culture, Nick and its verticals—Nick Jr., Snick, and even Nick at Nite for the parents—held a spot in the vanguard of adolescent and teen entertainment. Andrew: Although the Reptar-heavy first act is the more well known and the more representative of the stories, “Family Feud” was far more interesting to me. Rugrats is very much the story of the babies, but these babies are only together because of the prior relationships of their parents. Stu (Tommy’s dad) was childhood friends with Chas (Chuckie’s dad), Drew (Angelica’s dad) and Stu are brothers, Howie and Betty (Phil and Lil’s parents), and later Lucy and Randy (Susie’s parents), are Stu and Didi’s neighbors. Were it not for the parents’ relationships, these babies would not be friends, so it is interesting to see a focus on the parents where their friendship is in jeopardy. This episode has a particular focus on Stu and Didi’s relationship with Howie and Betty. I’ll admit having little recollection of Howie and Betty DeVille, but they are certainly a strange couple (as you would have to be, to name your children Phil and Lil DeVille). They are polar opposites—Betty is strong-willed and enthusiastic, Howie is meek and quiet—and one has to question why they would be friends with the scatterbrained Stu and the bookish Didi. When a game of charades leads to a fight between the couples, their children are held apart, and try to reunite the parents so they can play together again. Despite the focus on the adults, the major question this episode raised for me is what the babies would lose by losing this friendship. Rugrats, to me, focused on Tommy’s adventures with Chuckie, which were either joined with or opposed by Angelica. Phil and Lil, while always present, added little to the proceedings. It is easy to see where Tommy, the brave hero, Chuckie, the scared sidekick, and Angelica, the powerful foil, fit into a story, but the twins often seem to keep to themselves. In “Family Feud,” where they are serve as the second (and third) protagonist to Tommy, they still fail to stand out as characters. If the next week Tommy had to hang out with new friends Bill and Jill, would he even notice? Rugrats tells us that these friendships continue until the babies are all grown up (or All Grown Up! ), but in reality it is unclear why these friendships would continue once Tommy and company met others outside their playpen. Cameron: I think one of Rugrats‘ greatest accomplishments as a show is the way it writes a show about babies without being patronizing towards the worldviews of its characters. The motives are simple, and the logic is never more or less valid than the logic used by the parents (in fact, “Family Feud” sees the adults in the wrong throughout, leading to Chas’s chastising them at the end). The remarkably youthful idealism of Tommy especially is a refreshing antidote to the world of the parents, which is often depicted as realistically complicated. 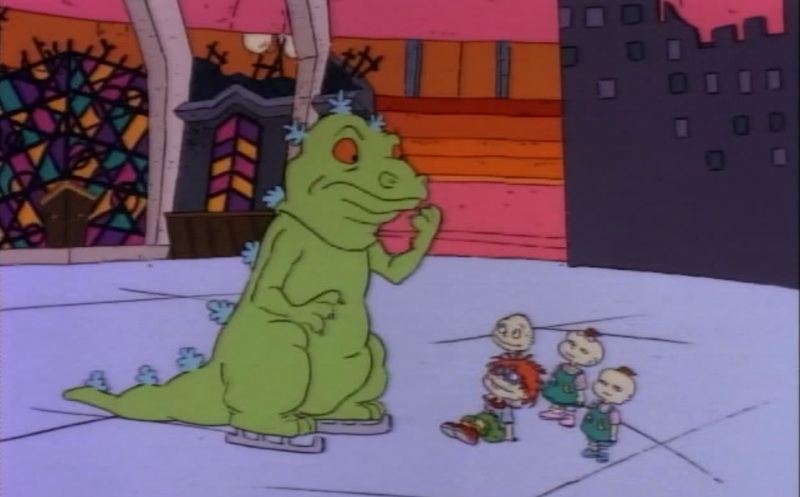 It’s a shame “Reptar on Ice” never really gets to explore its ideas further—much of the runtime is given to the absurd titular ice-skating musical show, anchored by Tommy & Co.’s quest to return Baby Reptar to his parent, who is actually a guy in a suit—but the unfortunate act of neglect that lets Tommy and the gang onto the ice in the first place foreshadows the central conflict of “Family Feud,” so as an entire half-hour, it’s not a total wash. And as Andrew mentions, “Family Feud” is so strong that it neatly overshadows “Reptar on Ice,” and probably would have overshadowed anything else that came before it. A lighthearted musical paired with a deep exploration of the friendship dynamics of the main characters isn’t a bad idea at all. Whitney: The part of Rugrats that always stood out to me, and especially now watching it as an adult, is the show’s ability to completely satirize what the culture surrounding parenting was during the ’90s (and on into the present day). Dr. Lipschitz, and Didi’s intense adulation of him, is such an obvious parody of Dr. Spock’s rule over any and all parenting decisions during the last 40 or so years. Didi’s wish that the kids could be fans of “a nice animal” rather than Reptar made me laugh out loud due to the way that it brought to mind the political correctness and constantly worrying parents we see today. The pieces of satire and wink-wink lines aimed at the parents inevitably forced to watch with their children were the strongest pieces of “Reptar on Ice”, most likely because the plot being based entirely around something all parents outwardly hate (“Blankety Blank on Ice!”) gave more opportunities to laugh at parenting techniques. But like Andrew and Cameron I much preferred the second episode to the first. I live in a town where you are more or less friends in high school and beyond with the same people you were friends with in first grade. Therefore, it is also usually the case that your parents are all friends as well. Some may have gone to birthing class or day-care drop off together, some may not have met each other until the first day of after-school pickup or PTA meetings, but regardless they’re still having wine nights and multifamily vacations 20 years later because that’s just the easiest thing in a small town. Because so many times parents stay friends because of their kids, regardless of if their personality traits mesh or clash, I can understand an episode like “Family Feud” and how anger over a small incident between friends can blow up into days of all of the ideological differences you have coming to light and widening the feud without anyone realizing how it affects the kids. I agree that Phil and Lil don’t fit in with the rest of the kids in regards to importance within the group, but I think that actually works better in the context of this episode because even though they could be switched out with almost any other duo on the block, Tommy and Chuckie still care more than anything about continuing to play together. It speaks a lot towards how viewing this feud through the eyes of the babies rather than the parents actually works great as a storytelling and character-building device, rather than just framing the show that way because it was a cartoon that aired on Nickelodeon and was aimed at children under eight. Andy: If you’re going to cast aspersions on rhyme-happy parents, Andrew, let’s not overlook Lou Pickles calling his sons Stu and Drew. It’s a wonder Tommy isn’t a boy named Sue. 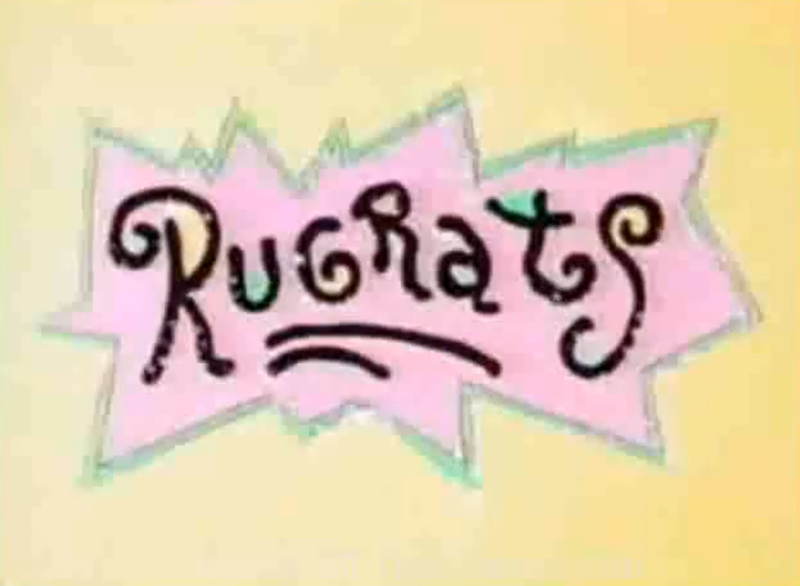 It’s not going out on a limb to call Rugrats was the most successful Nicktoon, and even the most successful Nickelodeon original program (only SpongeBob SquarePants, which eclipsed Rugrats for the network’s all-time episodes record, could probably compete for the title). It was on the air for the better part of 13 years, won four Emmys, and spawned a spin-off and three theatrical movies. Put it another way: Rugrats debuted before I started junior high and aired its last new episode a year after I’d left college. For a show that spanned multiple generations of Nick viewers, on paper it really shouldn’t work at all. Its main characters are babies, and its secondary characters are parents—two age cohorts from which Nick’s core demographic of adolescents and young teens spend most of their conscious moments trying to disassociate themselves. Almost all of the network’s other fare, both animated and live-action, followed one of the templates of Rugrats’ immediate contemporaries, either presenting day-to-day life of a Nick-aged kid like Doug or diving off the deep end of weirdness like Ren and Stimpy. So how did this show, with no clear analogue for adolescent viewers to relate to, resonate? I think the worldview Cameron discussed, situated somewhere between the babies’ naive sunniness and the adults’ befuddled pragmatism, is one big reason. The babies can embrace their entertainments, like Reptar, with unreserved glee and let it carry them into adventures with almost no prompting. That’s refreshing to anyone who’s learning to navigate the far more rigorous social pressures and taste signals of young adulthood. On the other hand, Stu, Didi, Betty, et al., feel believably like parents. They’re frequently oblivious but always well-meaning and, when the chips are down like in “Family Feud,” even competent. A kid can laugh at them and yet, maybe on an unconscious level, glean a little empathy for the grown-ups in their own lives. Andrew: I think there is a serious question to be asked about narrator reliability on Doug. Obviously, Doug’s fantasies, including the Quailman story we get in “Doug vs. the Klotzoid Zombies,” are being told purely from Doug’s perspective, but it is unclear how much of the “reality” is also being skewed by Doug as our narrating character. The prime example of this is Roger’s actions between these two stories. Roger, throughout the series, is both Doug’s personal rival and a general bully, and that characterization can be seen throughout his appearance in the second half of “Doug’s Got No Gift.” Roger makes fun of Doug’s gift for Patti before she opens it, and then again after she opens it, even as the other partygoers are impressed by the towel rack’s actual usefulness. In “Doug vs. the Klotzoid Zombies,” Doug imagines Roger continuing his bullying behavior to an extreme, by turning all of Doug’s friends into zombies. In reality, however, Roger is throwing a surprise party for Doug (albeit the least efficient surprise party, in which the everyone simply assumes Doug will show up uninvited in a fit of jealousy). 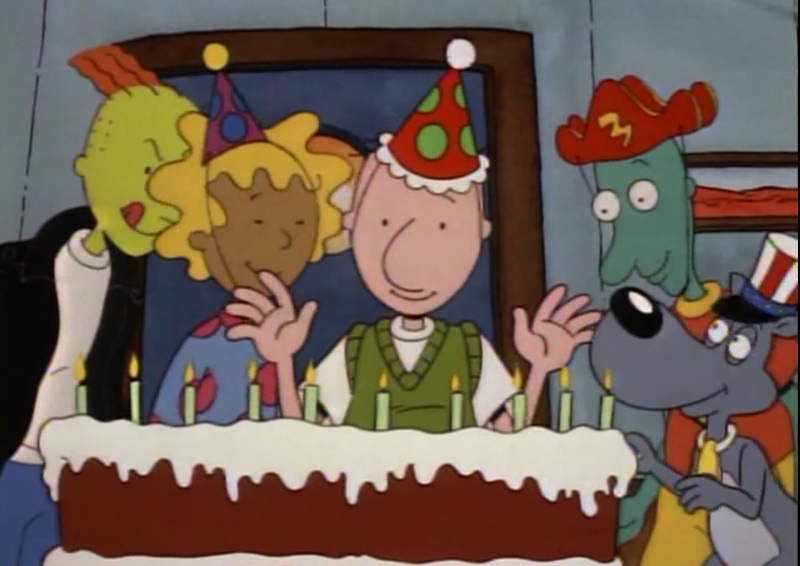 It is not implausible that Roger, even as characterized in “Doug’s Got No Gift,” would attend a surprise party for Doug. After all, he attends Patti’s birthday party despite not having a particularly friendly relationship with her. It is impossible, however, to see how that same character would go on to throw the surprise party for Doug in “Doug vs. The Klotzoid Zombies.” Is it possible that, as we are seeing all events through Doug’s eyes, even in “reality” Doug has created a version of Roger who is much crueler than he actually is? How would these episodes be different if they were seen through Roger’s eyes? And why wasn’t Skeeter the one throwing Doug’s party? Cameron: These two pieces of Doug seem very indicative of how the show ran as a whole. “Doug’s Got No Gift” is a fairly standard plot in which Doug spends all his gift money for Patti on video games, then frets as he builds a “towel rack” for her and faces scrutiny from his peers for going against the grain. “Doug vs. the Klotzoid Zombies” leans into the extreme end of Doug’s fantasies; left in the dark about why all of his friends are now hanging out with Roger, Doug dreams up a parallel situation with his superhero alter ego Quailman. Andrew, you talk a little bit about the narrative skew of the show, and I think that’s apt considering that Doug has an overactive imagination frequently on display, particularly in these two episodes. He shares this trait with J.D. on Scrubs—Myles McNutt has been talking about J.D.’s fantasies in varying capacities as he’s covered the show for The A.V. Club‘s TV Club Classic series. The fantasies and realities in “Got No Gift” are very much interrelated; it’s no accident that Patti asks Doug to sign his gift with his initials, just like in the arcade game. The show argues that one of the things kids start worrying about as they grow older is how to leave a mark on this world before they die, and one of the most rewarding ways to go about leaving a mark is through hard work (getting a high score on an arcade game in the ’90s is no joking matter, TRUST ME ON THIS). As a final note, though I was never really a Nickelodeon kid—I was more into Disney Channel, as my parents had had it on their cable package long before it became a basic cable network—I feel like I fell out of the womb whistling the Doug theme song, and that’s totally okay with me. Of all the shows and all the theme songs that will pass through this roundtable, the only one that even comes close to bringing me back to my childhood is probably Clarissa Explains It All, which makes sense, since it operates on a similar visual level as the Doug opening. Whitney: In high school, we had a yearly week of shenanigans and competitions titled “Spirit Week” (similar to many other schools) that also involved daily themes that you had to dress up for in order to earn points for your grade. During TV Week my junior year, two of my friends dressed up as Patti Mayonnaise and Quailman to a T, completely unironically. 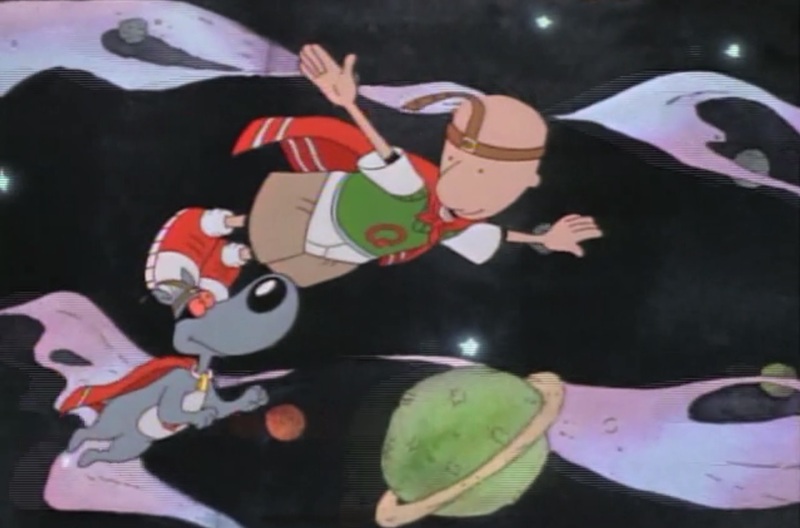 My friends and I loved Doug when it aired, my friends and I I love Doug now, and I don’t see that changing. 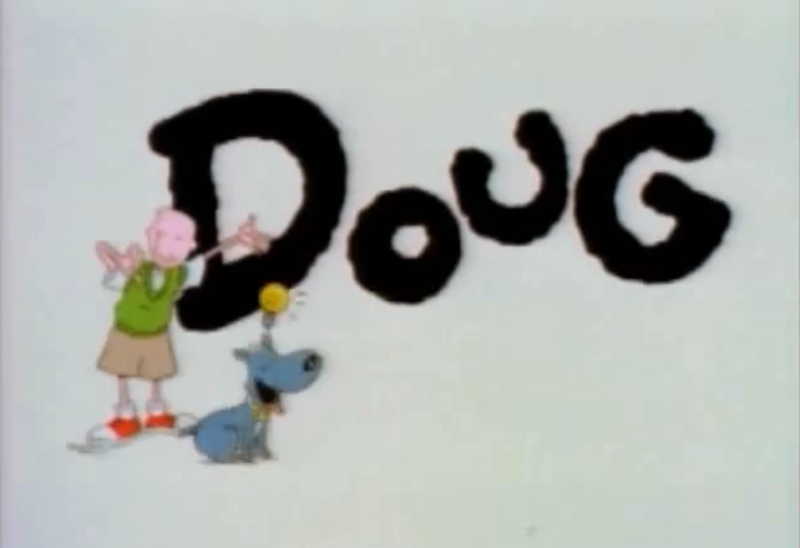 Doug is timeless because knowing how adolescence can turn you inside out is timeless. Having crushes, insecurities, fantasies about said insecurities, aspirations of popularity, and best friends to help you through the whole thing are standards of tween and teen years. Unlike with Rugrats, Doug’s target audience is a perfect match with the characters of the show. The problems are so simple and understandable, everyone gets where Doug is coming from but can also laugh at the ridiculous things he thinks and does when faced with a problem. Doug goes to the mall. Doug gets sucked in to an arcade game and spends all the money he was supposed to spend on his crush. Doug builds her a gift instead. Doug then FREAKS OUT and experiences anxiety sweats you might see on someone about to go skydiving for the first time. It’s an over the top outcome, but is also one anyone and everyone can relate to in some way. Quailman was easily the most popular part of Doug, so much so that I have to applaud the writer’s room for not just finding an excuse to throw him in every episode every. At the very least, Doug’s alter ego was a crowd-pleaser and at most it was an allegory for every kid’s inner celebrity that we all aspired to be. Quailman is a natural extension of a toddler tying on a sheet and pretending to be a superhero. Teenagers want to be superheroes too, they would just accomplish different things at 13 years old instead of six years old. One of the things that was always intriguing to me about Doug is that it already operates in something of an alternate reality (the main example of this being his best friend being a lovely shade of blue). Already one step removed from the real world, Quailman adds an additional layer of fantasy to an already warped reality. Andy: An 11-year-old kid in 1992 who grows up in a nondescript suburb and has a huge crush on a classmate and mostly lives inside his own head. Nope, nothing at all here for me to connect with. You’ve all covered the episode and the series fairly well, so I’d like to briefly turn our attention to Billy West, who voiced both Doug and Roger. Today he’s one of the best known voice actors in the business, largely thanks to playing a good third of the characters on Futurama. Even in the early ’90s his work on Doug was overshadowed by the far flashier roles he was playing a few time slots up the schedule as both Ren and Stimpy. But West is as integral to bringing Doug Funnie to life as series creator Jim Jenkins. His performance shares a lot with his work as Philip J. Fry; though Doug isn’t nearly as dense as Fry, both characters are defined by an everyman nature. Doug is such a remarkably unremarkable fellow that, even in his fantasies, his superhero identity is derived from a drab, mainly ground-dwelling bird, and he saves the day through the power of beets. He’s intensely reserved, yet like all adolescents his emotions are on a hair trigger. You know exactly what’s going on inside Doug’s head and heart, even if Doug himself doesn’t, or can’t articulate it. Rather than go for broad laughs, West plays every moment for maximum humanity, whether awkward or amiable. To create a character this relentlessly ordinary and yet distinctive and nuanced enough to carry virtually an entire series—as the narrator and typically the sole POV character, Doug’s voice powers the vast majority of every 11-minute installment—is an impressive feat. An addition to Andy’s note on Billy West- a large part (although there are many, many other parts) of the reason that Doug did not work as well after the move to Disney is because West did not go with the show. Tom McHugh wound up voicing Doug for more episodes (and a movie) than West did, but West’s performance is sadly missed. This is why I despise the fact that the show was revived after the original 65 ended – it added legitimacy to people getting the completely wrong impression of it just because of the presence of talking babies. It was told through an adult’s perspective of how a baby might see the world if he/she could comprehend things and communicate the way an adult does, only the baby is lacking in formal education. The irony of the babies’ misinterpretations and interaction with the adult world was the main comedic device. The audience is supposed to UNDERSTAND THAT IRONY – that’s why it was aimed at older kids/tweens, teens, and adults. The adult characters were every bit as important (often moreso) to the stories as the babies. It wasn’t “so the parents who watched with their kids could be entertained.” It had nothing to do with that – this was part of the oroginal Nicktoons block with Ren & Stimpy and Doug, it was NOT created for f’n Nick Jr. It’s not a freak’n preschool show. This was also the lead-in show for SNICK. 9, 10, 11-year-olds don’t sit around watching TV with their parents, they watch TV independently. If it were told through a baby’s perspective, it would have ZERO audience. You people do realize that babies are incapable of watching/understanding television, right? Take the potty training episode, for example. If you haven’t been potty trained, you are barely even sentient. The extent of your television viewing at that age, at the MOST, is being plopped in front of Sesame Street to repeat the letter “A.” Germain, Ansolabehere, and others weren’t sitting there writing complex, intelligent, satirical dialogue such as Stu telling Drew he’d “shove his FIST in his mouth” for 2-year-olds. Not to mention Angelica’s adult wit, violence, and mind games and the ironic lines by the babies that drive the entire show. Take all of the actual _content_ away, you’re left with babies crawling to the other side of the room and making a mess. How’s that “adventure,” exactly? It saddens (and angers) me that even adults who review the show still don’t get it. Throw out your false preconceived animation age ghetto notions and, “oh, it has babies in it and the title cards are written in a baby-ish font, this theme for the show means the _content_ must be for really young children” rhetoric. It’s bologna. Stop judging a book by its cover. The target demo the creators gave to Nickelodeon for the series was 6-11, the same demo presented for Ren & Stimpy and Doug, but Paul Germain and his writers had no interest in pandering to a young audience. 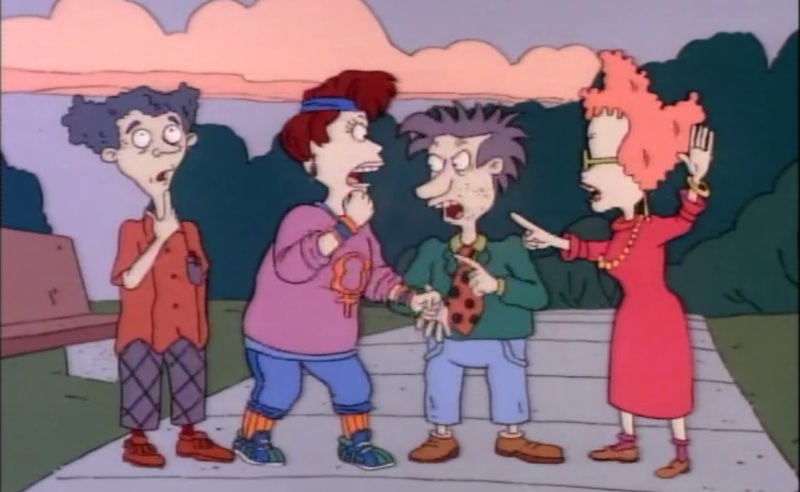 They frequently got into screaming matches with one of the creators (Arlene Klasky), which ultimately was the reason Rugrats hired a completely new writing staff when they started producing new episodes in 1996. TL;DR: Rugrats in its original incarnation (1991-1995) was a show written on an adult level targeted towards older kids/tweens, the same as the other two Nicktoons. The babies’ actual ages are below those of ANY TV viewing audience and are “babies” in technicality only, as their characterizations are as they are for the sake of comedy and irony in playing off the adult characters. Their parents and the other various adult characters are every bit as characterized and vital to the stories as the babies, and oftentimes episodes in the original 65 centered almost entirely around the adult characters, with the babies playing only a minor supporting role. The episode, “Case Of the Missing Rugrat” is a great example of this, as is the one where Grandpa invites over a woman he used to date. Try watching the show again for yourself and throw out any preconceived notions you had about it based on the presence of babies and the baby-ish title card, as well as the later episodes (the ones after the first 65 (127 stories)) by new writers which were dumbed down beyond belief and actually WERE intended for young children and would have pretty much fit in with Nick Jr.